SoftPlanet makes it possible for everyone to get free Safe AutoLogon download directly from our servers. There is no registration needed for downloading. 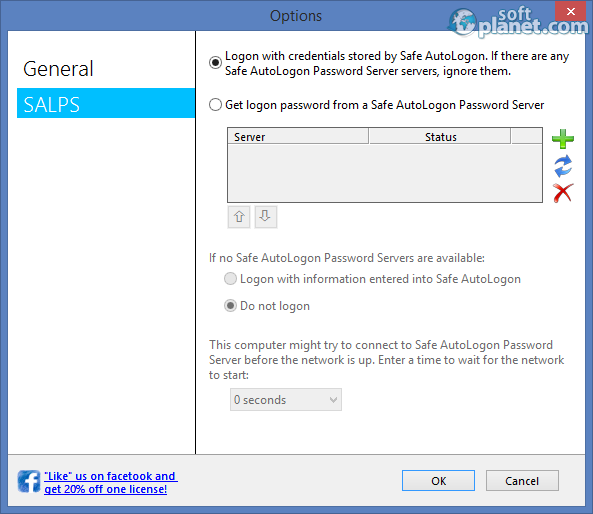 Safe AutoLogon version 5.0.2184 is a software app, which enables you to automatically log in to your computer every time it starts or restarts. It will keep your login password safe in an AES/Triple DES encrypted format. Thus it will use top notch encryption your OS is capable of. Using this application, you actually add an additional layer of security for your personal data stored on your PC against all kinds of threats. 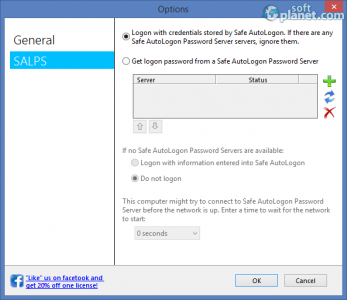 Safe AutoLogon 5.0.2184 is a proper software solution for both home users and business ones. Implementing such an app inside you organization provides you with additional protection for your valuable data stored on your computers. Our security scan shows that Safe AutoLogon is clean from viruses. The current version of Safe AutoLogon has been scanned by our system, which contains 46 different anti-virus algorithms. 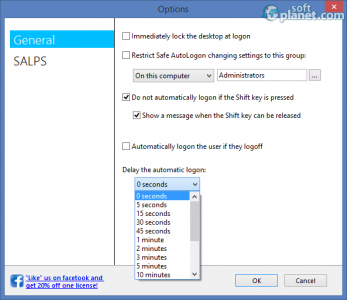 That ensures that Safe AutoLogon 5.0.2184 is 100% safe for your computer.